I think I sobbed my way through the second half of that book. I AM AN EMOTIONAL TRAIN WRECK. I can’t express how much I’ve loved this series to pieces and loved all the characters in it. 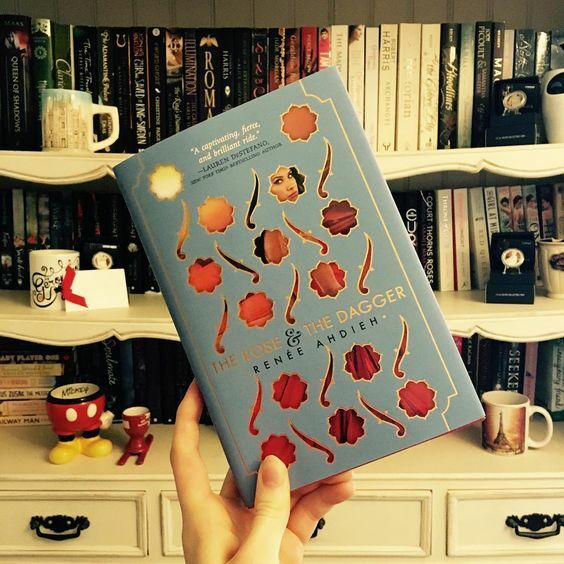 I was so concerned reading this book, trying to work out how Ahdieh would tie everything together and resolve all the problems – but it worked!! Not without terrible soul-bashing, that is. My goodness, this book needs a warning at the beginning: “Brace yourself to be squished under emotional bombardments”. Well, wasn’t this book a rollercoaster? This story had me so emotionally invested in it, it was crazy. I love all the characters so much and I’m so sad to be saying goodbye to them. I’d so hoped there were going to be more books to this series! Ah well, in my opinion, the ending was perfect and I’m totally satisfied. Ahdieh, you have my complete and undivided attention from now until evermore. 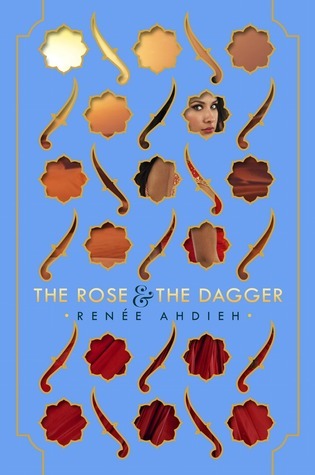 I’m desperately hoping that Ahdieh comes out with another book/never-ending series like, tomorrow, because I don’t know if I can exist without knowing I’ll have more of her writing to read. Whilst reading this, I really should have been doing other more important thing but OH WELL – I absolutely definitely had to find out how things were going to be resolved. So I wrapped myself up in a blanket, shut myself off from the world, and read, read, read until I got to the end. This book was exhausting in every way possible. This is obviously the second book in the series – so we pick up right where things left off in book one. There’s no dilly dallying and there’s no time to assess the situation. We just dive right back in and it’s chaos from beginning to end. If you haven’t read book one, stop reading this review now. At the end of the first book, Shahrzad is whisked off by Tariq to safety after all hell has let loose on the city and Khalid has to work out how to fix things. The main issue within this book is that both Shazi and Khalid are trying to work out how to break the curse so that they can be together and the land can be at peace. Both are in an interesting mental situation but Shazi has the tricky position of knowing that Khalid is not the evil boy king that everyone makes him out to be (and to be fair, he has killed a lot of people . . . so you know). She’s got to play the double agent and pretend that she’s not happy with him and still despises him – but it’s a really hard thing to keep secret. Especially as everyone around her is plotting to murder him, etc, it’s times like these you could really use magic – oh wait! You might remember that special little rug that Shazi was gifted in the previous book? Well, it has a little bit of a role to play in this book. Without going into any further detail, this book is amazing and really captures the magic of this story. I loved the trickiness of the situation and how you’re STRESSING because you just need to know that everything is going to be okay. This book tore my heart out. I loved where Ahdieh took the story and I love how it wrapped up. There were so many high stakes and you just know that there’s no way you’re going to make it through without some disaster striking here or there. I was really impressed how she managed to make things work because this is definitely one of those books where you just can’t see how the author is going to fix everything! There was so much action and adventure throughout the book as well which meant it was fast paced and things moved along in a chaotic gallop that was absolutely fabulous. We’re taken through the throws of not being sure whether Shazi and Khalid can be together again – not knowing how they could possibly find a way back to each other. Shazi is living in a sort of desert camp with Tariq, Rahim, her sister and bunch of other people. She’s in a precarious situation as so many people are suspicious of her loyalties and know that kidnapping or killing Shazi could have some power of Khalid – or at least sate their vengeful desires. On top of this, she has to deal with Tariq who is still in love with her and bent on killing Khalid. It’s a confusing time and we can only panic silently with her at the impossible situation that she finds herself in. But don’t worry! Shazi remains as hot tempered as impossible as ever. I particularly loved how the focus of this book suddenly shifts outwards and we begin to really analyse all the other characters at play. My favourite has to be Irsa, Shazi’s sister, because she’s such an interesting character. She’s so loveable and strong and fierce – she’s almost the opposite of Shazi, but deep down I think they’re really quite similar. I melted every time she and Rahim were together. And again on top of this, they both have to worry about their father who hasn’t been in a great condition since his last tango with magic in the previous book. I really didn’t like him this time around – his actions were completely inexcusable. I certainly thought it was interesting how one of the “evil” figures in this book manifests in the greed of their father. It’s a difficult situation because how can you go against him? How do you help someone who doesn’t want it? Meanwhile, Khalid is struggling with not being with Shazi but knowing that she’s probably safer elsewhere. He’s at odds with Jalal for a lot of the book and so is quite isolated in his own problems. I think we really begin to see the kind and human side to Khalid in this second book which was fantastic. There were so many powers at play as well and I loved all the new alliances and frictions that came about during this book. There are so many people seeking power that it’s crazy and it was magnificent to see how all the characters did come into play. Ahdieh forgets no-one – no character’s story is left untouched. Which brings me back to my point: be prepared to have your heart trodden on a bit. You must remain strong and guard your heart, fellow reader! Else your heart shall be toyed with. This was absolutely a fantastic series to read. I highly recommend it to everyone and if you were thinking of not continuing the series then REASSESS YOUR LIFE. Because this book is 100% worth it. 100%. I love these characters so much and I love how the scale of the story just gets bigger and bigger. I’m totally satisfied with how things turned out in the end and I will buy every damn book that Ahdieh publishes from now on in. 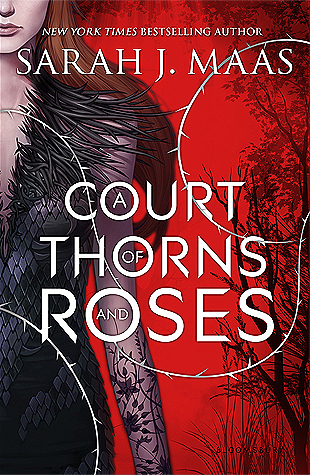 If you like a sassy heroine in a difficult situation, A Court of Thorns and Roses is for you. 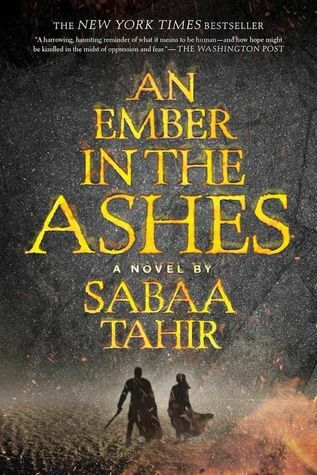 If you like fantasy packed to the brim with adventure, An Ember in the Ashes is for you. 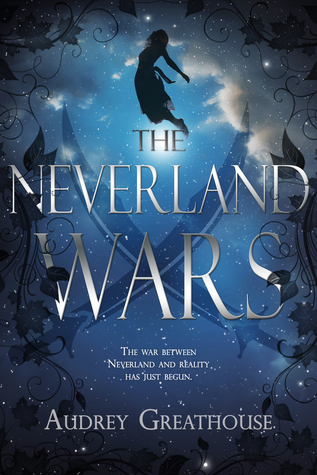 If you adore on point retellings, The Neverland Wars is for you. Haha thank you!! A good question – you should DEFINITELY have preordered it. Blew. My. Mind. Brace your feels, they’re going to get trampled on.